Whether you’re buying car insurance for the first time or are a long time insured looking to see where you can save money, taking a few minutes to understanding average car insurance rates is probably a wise investment. While the variables that auto insurers weigh when determining a premium for a vehicle are fairly consistent across the industry, the amount of weight each carrier attaches to individual variables may vary, sometimes considerably. 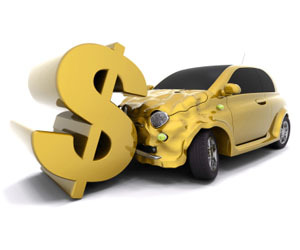 In underwriting policies, auto insurance companies also rely on their own statistical data. This can result in seeming insurance rates disparities from one insurance company to another. Accident data is also maintained for certain demographic groups, which also results in a certain amount of rate disparity, as each insurer has a different claims data experience. What are the factors insurers consider when determining car insurance ratings ? 1. Age : in this case, age does matter. Younger drivers typically pay the highest car insurance rate, backed by numerous data sources, National highway traffic safety administration (NHTSA), AAA, Insurance institute for highway safety (IIHS) and more, that show younger drivers have higher accident rates, fatalities and injuries than any other age category. Drivers over the age of 60 may also have higher car insurance rate, although this is not universally true. Younger drivers may be able to benefit from a good student discount. Older drivers can get a discount from many insurers by taking a defensive driving course. 2. Credit score : in many states, an auto insurance company will take your credit score into account when determining what your insurance premium will be. California, however, does not permit a credit score to be used for the purposes of writing insurance. In the states that do allow it, the insurer wants to see if you’ve paid your bills on time. That’s because they’ve found that if you are a prompt payer, you’re statistically less likely to get in an accident. 3. Driving record and claims made : without question, your past driving record is a big consideration for any auto insurer quoting you a premium, whether you are attempting to switch insurers to get a better deal or are renewing and looking to lower your premiums. Typically, insurers look to see if you’ve had any accidents or violations within the last three years. By the same token, insurers will scan your claims record, going back usually five years. Negative reports on your driving record or claims made during the respective times will impact your insurance rates by car. By the same token, being a safe driver, no accidents / violations, during the period can net you a good driver or safe driver discount. 4. Location : where you live and whether your vehicle is parked in a garage or on a city street plays into what the insurer will peg your insurance rate at. Certain zip codes have higher accident and auto theft rates than others with a consequent rise in auto insurance premium for cars insured in those areas. Major metropolitan areas and those with high crime rates usually mean drivers will have to pay higher rates. 5. Miles driven annually : insurers have found that vehicles driven more frequently are more likely to get in an accident. Many insurers offer a discount for low annual mileage, with discounts pegged to certain mileage. For example, there is a discount for driving 10,000 miles or less each year. Some insurers have a discount for 5,000 miles / year or less. 6. Vehicle type : the year, make and model of the vehicle you drive is another big factor the insurance company takes into consideration when determining your best car insurance rates. Certain cars are statistically safer than other cars, as is the case with minivans and many large sedans. Sports and sporty cars and luxury vehicles typically cost more to insure because of number of claims for those vehicles and the high repair / replacement expense. The various safety features on a vehicle also affect rate determination. Most car insurance companies offer a discount for antilock brakes, airbags, and antitheft devices. 7. Bottom line : compare insurance rates can help you save money in the short or long term. A good tip is to have an annual discussion with your car insurance agent or provider about potential areas where you can save. Or search for lowest car insurance rates and cheap car insurance rate online.